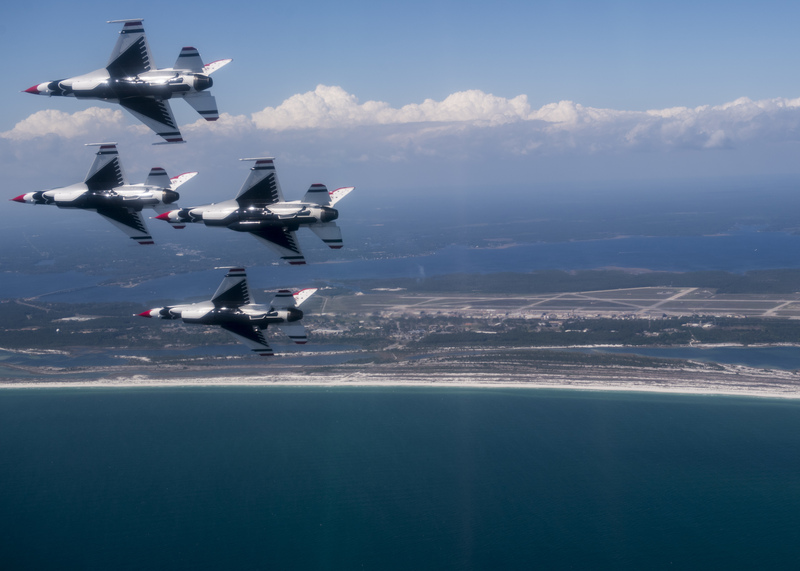 The Thunderbirds are proud to represent Air Force Airmen who make America’s Air Force the most advanced and respected air, space and cyberspace force the world has ever seen. 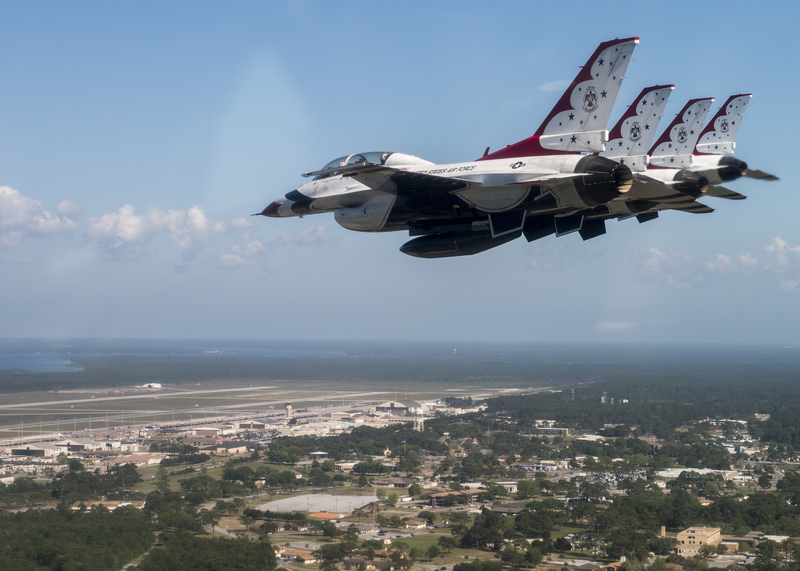 They continually provide consistent and credible Global Vigilance, Global Reach and Global Power, giving a critical edge to today’s joint warfighting and coalition teams. 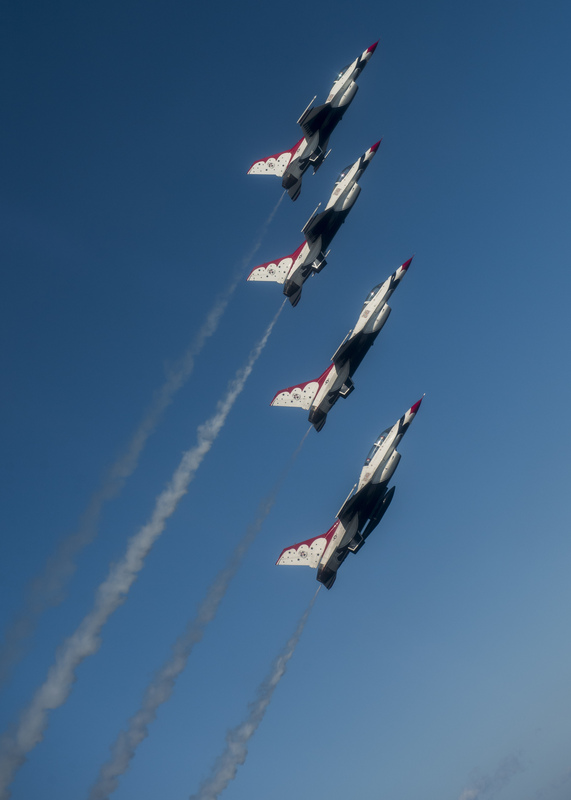 As Air Force ambassadors, the Thunderbird team strives to showcase the integrity, selfless service and excellence embodied by American Airmen everywhere. 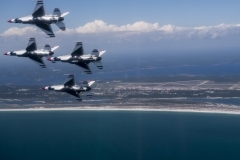 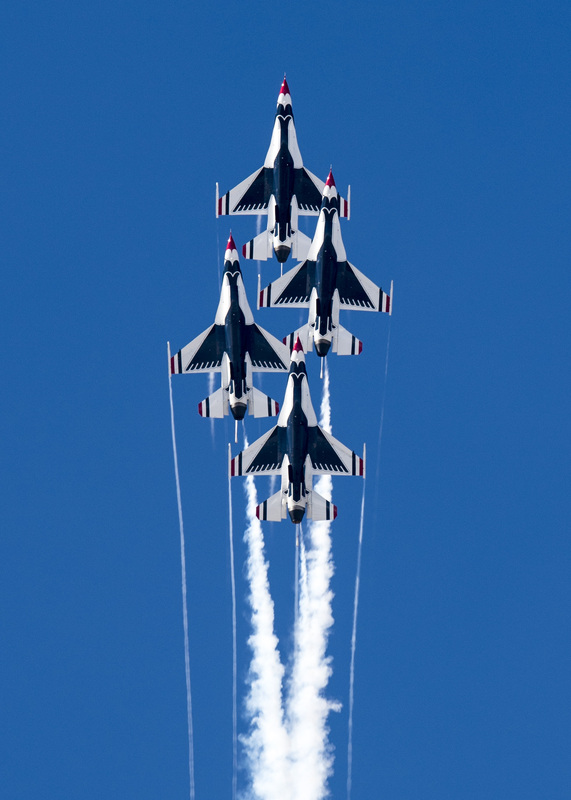 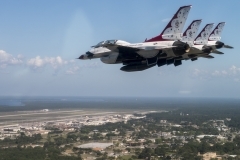 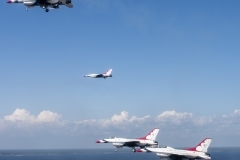 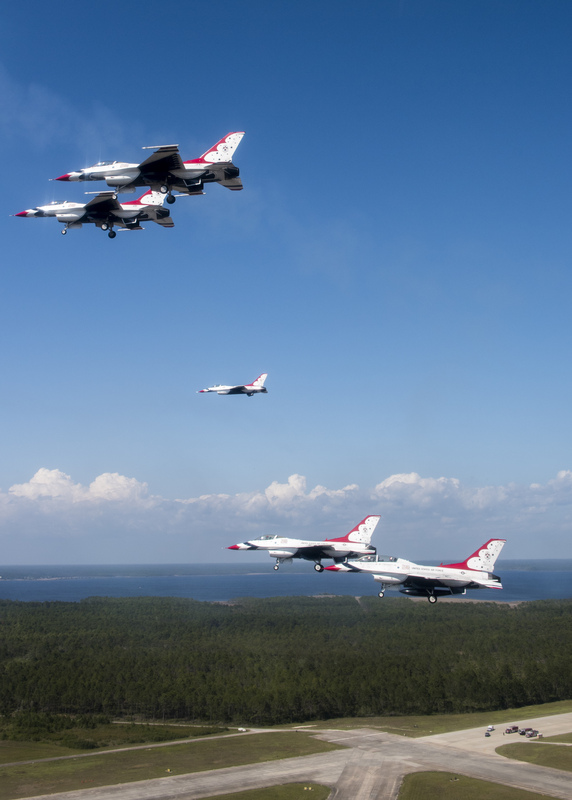 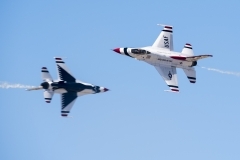 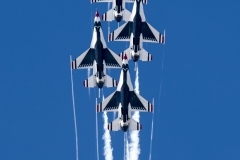 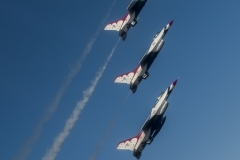 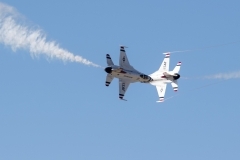 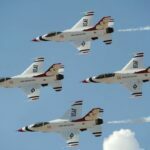 The United States Air Force Air Demonstration Squadron plans and presents precision aerial maneuvers to exhibit the capabilities of modern high performance aircraft and the high degree of professional skill to operate those aircraft. 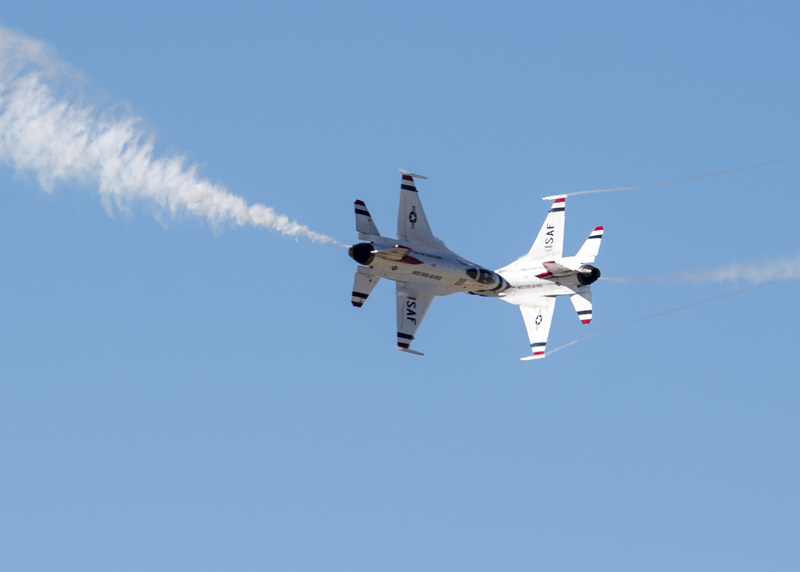 As Air Force ambassadors who travel the world over, the Thunderbird team strives to showcase the integrity, selfless service and excellence embodied by American Airmen everywhere.